from Rabbits, Guinea Pigs, Ferrets, Rats, Mice,and Dwarf Hamsters . Small Animals make excellent pets and companions for people of all ages. They entertain us for hours, surprise us with their intelligence and connect us with nature. Introducing a small pet into your family can be Fun and Rewarding. Small animals make wonderful companions for both the young and the “young at heart”! Let us help you select the small pet that is “Just Right” for you and your family! 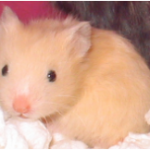 Hamsters – The classic first pet, Hamsters are very friendly when given lots of attention. Their simple care needs and small size make them perfect for kids of all ages and school classrooms. 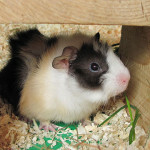 Petland has a vast selection of hamsters which include: dwarf, robo, golden, fancy, teddy bear, panda bear or black bear. Selection may vary depending on availability. 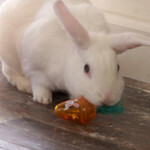 Rabbits- Rabbits are extremely social and one of the most playful companion pets. They require a lot of attention and are known for forming strong bonds with their owners. Rabbits often greet each other by pressing their heads together and also like being around other Rabbits and small animals. Rabbits are naturally timid, and they may be startled easily. Petland has a vast selection of rabbits which include: dwarf, mini rex, lionhead, dutch, mini lop. Ferrets- Known for their curiosity and fun-loving personalities. They are social animals that love to be part of the family, Ferrets make great pets despite their slightly musky odor, and can live up to 10 years with the right care. 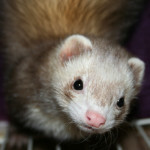 Our Ferrets are de-scented and neutered/spayed. We typically have a vast variety of colors. 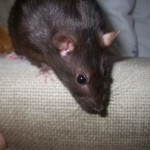 Rats – Pet Rats are actually very clean, lovable, and affectionate animals! Smarter than you might think, Rats can be taught to perform tricks or learn certain behaviors. Mouse – One of the most playful and intelligent pets you can own, Mice are never boring. While they don’t require much human interaction, Mice are active, running up to a quarter mile in just one night! They are very intelligent animals that are entertaining and fun to watch.